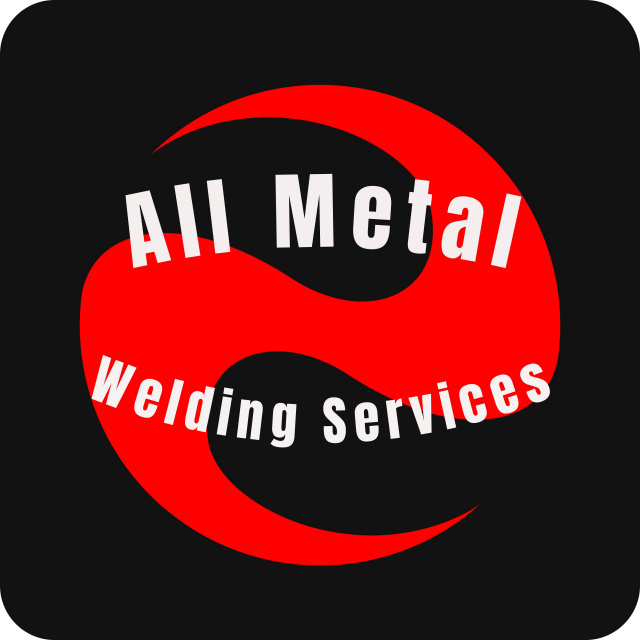 I offer a mobile on-site welder training course in Cambridge - London and surrounding areas. 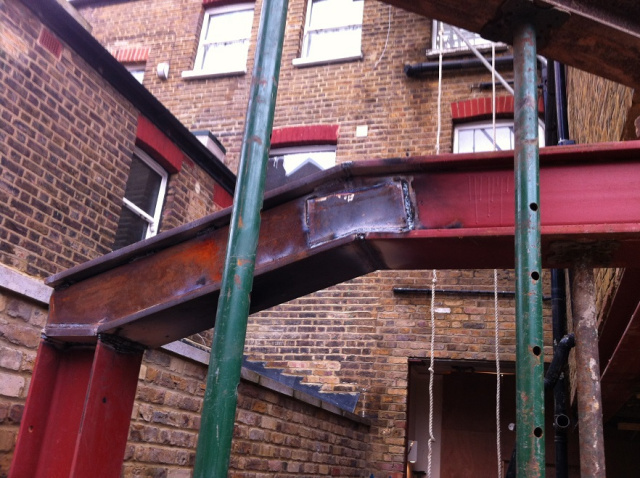 I have worked as a sub contractor for numerous construction companies in and around London and Cambridgeshire areas. Experienced, proficient on site mobile welder. 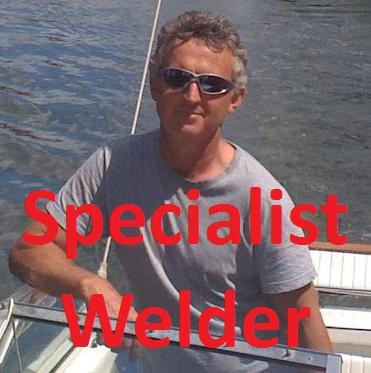 I have over 34 years of welding experience (I started back in 1972 at technical college learning the basics of arc welding) working on construction sites erecting/welding steel structures, to basic welding work. I have all the latest inverter technology welding equipment from MIG and TIG welders to arc/stick welder (dual voltage 110 - 240 volt machines to comply with health and safety regulations on building sites) to oxy acetylene cutting torch. I also have a current IPAF or PAL - Powered Access License. Types; 3a 3b. (Cherry picker operator license.) I have full public liability insurance cover. See proof and details of cover below. I am based just outside Cambridge but work mostly in London. I cover a wide range working within an 80 mile radius of Cambridge offering my mobile onsite services in areas such as Cambridgeshire to Hertfordshire, Bedfordshire and in towns/cities such as Cambridge to Huntingdon, Royston, Bury St Edmunds, Bedford, Peterborough, Milton Keynes, St Noets, St Ives, Stevenage, St Albans, Luton, London, South London, Staines, Ipswich, Norwich and numerous others not mentioned. Before welding begins, you will need to be shown how to set up your MIG welding machine. The ratio of wire feed-rate, versus amperage setting on the welding machine based on the thickness of the material you are planning to weld. Always remember not to weld in windy conditions where the gas will be blown away from the area to be welded. The gas flowing out of the torque nozzle is the shield against oxidation while welding is in progress. If there is not sufficient gas, the weld will end up pitted and full of perforations, weakening the welded area. It is important to constantly check the welding torque nozzle to ensure the welding splatter is cleared out at regular intervals to ensure a good gas flow rate at all times. · You must wear the appropriate protective clothing at all times to prevent ultra violet ray burns, heat exhaustion, heat burns, welding helmet for eye protection …..
Whilst welding, it is common practice to have the welding torch held in approximately a 45 degree angle to the work surface. This angle is altered to create different effects. The lower the angle, the less penetration you will get but, the weld becomes smoother. The more upright the torch is held the greater the penetration but, the weld surface becomes difficult to control and ends up lumpy and untidy. Good welds can be achieved in either direction. In most references on this page, we will be referring to the pull welding direction. Most commonly used. When setting the amperage too high on your MIG welding machine, you will get what is called “undercut”. Under-cut weakens the weld because it eats into the welded material surface, reducing the structural strength of the material. This is more noticeable when welding thicker metal plates together. You will quickly notice if your amperage setting is too high when welding thin metal plates because it will melt the material away. However, if you move along quickly, you can get a very good weld result using a high amperage setting depending on the situation. 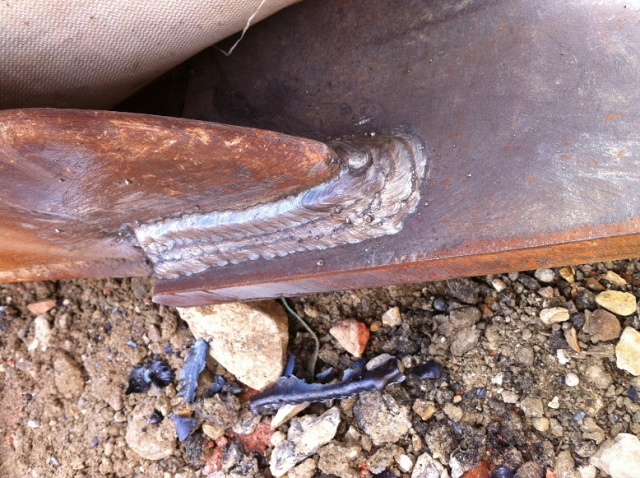 Lingering around in the same spot will introduce too much heat and melt the material away creating an untidy weld. You will need 2 x test plates of metal to practice on. 200 x 50 x 3 – 5mm. Tack weld the two plates with a gap of 1 – 2mm apart before welding begins. When welding, maintain a very steady rhythm and flow to your weld in order to keep a uniform weld bead along the welded sections. Make sure your amperage setting is sufficient to penetrate the plates through to the opposite side of the plates to obtain full strength in your weld. You must then stop in approximately the centre of the two plates, then restart to finish the weld to the end. This is to check your stop/start welding ability. Tack weld the two plates together overlapping in the centre before welding begins. When welding, maintain a very steady rhythm and flow to your weld in order to keep a uniform weld bead along the welded sections. Make sure your amperage setting is sufficient to get a good penetration but not too high, avoiding “undercut” as explained previously, ensuring a perfect weld to obtain full strength in your weld. All welds need to be uniform in width. All weld ripples shall have a good and consistent form. The profile of the weld must be rounded. The welding surface shall be free from excessive undulations. The weld is free from cracks. Stop and starts are to be free from defects. Penetration must be visible for a minimum of 75% of the joint root and be fully fused to both edges. Penetration that is visible on the under side must not protrude more than 3.0mm. Remember to check your amperage setting when welding from bottom to top in a vertical up weld. You normally need to lower your amperage slightly. Welding from top to bottom in a vertical down weld, you will need to increase your amperage setting. Welding from top to bottom you need to move relatively fast holding your welding torque in approximately a 45 degree upward position. Welding from bottom to top in a vertical up weld, you will normally need to decrease your amperage setting. Welding from bottom to top you need to move relatively slow, holding your welding torque in approximately a 45 degree upward position. Welding strength is not as strong welding from top to bottom, as opposed to welding from bottom to top in a vertical weld. There are different techniques used in different applications such as the thickness of the material used. Using a fairly thick material like 3 - 6 mm you need to weave slowly and uniformly from left to right with the welding torque pointing up at about a 45 degree angle. Making sure not to advance too fast (causes gaps in the weld) but at the same time not to advance too slowly. (Causes pooling and runs) Make sure to keep an eye on the molten pool as you are advancing. When welding thicker materials such as +6mm, you may need a thicker filet weld, depending on what has been specified for the work to be done. Let's say you need a 10mm fillet weld, and you can't create it with one weld passing. Simply weld one run but laying majority of the weld to one side making sure to penetrate say 30% of your weld on the adjoining material. Then on the second run, weld 70% of your weld to cover over the initial 30% weld, making sure your weld is even on both sides, giving you a 10mm filet weld on both sides. A filet weld is measured looking straight down at the weld, 90 degrees to the adjoining material. Run a bead of welding squarely in the centre of the two adjoining bits of material. Then follow the procedure as described above in the two run method by laying more weld to one side and repeating the process on the opposite side. Try not to make your weld too wide in one run. It is difficult to get it even and in most classes it won't end up strong enough if tested. If done correctly, one can achieve a wide filet weld in one run. The technique involves a triangular motion starting from the bottom and slowly working your way up to the top. Start off by welding right in the corner with a good strong weld, making sure your penetration is good and solid. Then as soon as you get a good flow move swiftly from one point of the triangle to the next, starting either to the left or right (whichever direction suites you) by about 10 - 13 mm, stopping for a split second before moving on to the next corner of the triangle. You need to get into an even triangular motion with the centre of the triangle being where the two pieces of material meet each other which must be slightly higher than the left and right points of the triangle. The reason for using this technique is to create a concave radius effect after welding instead of a lumpy protruding weld. This technique is not commonly known by most welders and very good to know. This technique is a very subtle difference in the welding approach, but makes a big difference to the results in the end. Always be proud of your workmanship and achieve the best looking results. Makes you look good and proficient in the end. When welding two different thicknesses of material together, you need to direct most of the heat energy toward a the thicker material by tilting/angling the welding torque towards the thicker material while evenly weaving from side to side, pausing for a split second over the thicker material after each passing and only flicking over the thinner material. Watch very carefully at the temperature build up on the thinner material surface so as not to burn a hole through the material. This is a fine line in setting up your amperage. Not too high, avoiding burn through, and not too low avoiding insufficient penetration, resulting in a weak weld. Undercut is when your amperage setting is too high and ends up eating into the adjoining material. A very slight eating away effect is acceptable, but a smooth bonding between weld and adjoining material is what is expected. 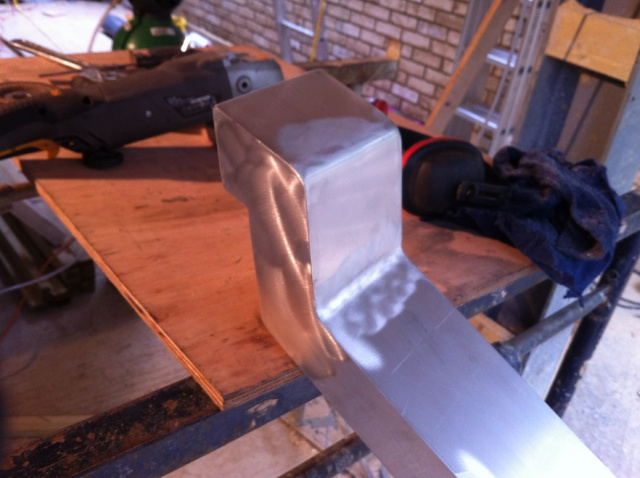 If it is possible to move your work piece when welding, try and tilt your work at a slight angle. Say about 5-8 degrees. Then weld in the downward direction. What this does is it holds/pools your molten metal for a while longer before it solidifies. Welding in the upward direction (in a pull direction weld) tends to create more undercut in this setup. Once again, this is a subtle difference but makes a noticeable improvement to the weld. If the eating away effect to too much, it ends up weakening the adjoining material, not the weld itself. Thank you very much for the training you carried out on site here yesterday, I have had nothing but praise heeped on you from the two trainees. 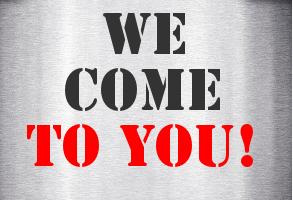 I have passed your details onto another site that is setting up a roll cage repair area, so hopefully there is more work for you. The site that is setting up is Mobis and that is at Tamworth in Staffs. 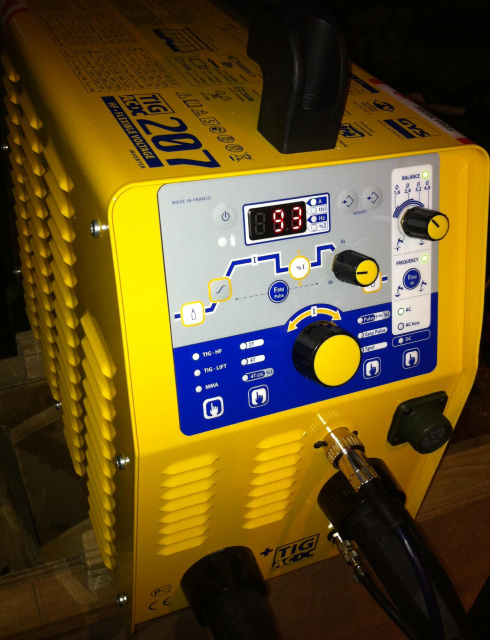 This is one of our light weight, dual voltage, latest inverter technology TIG welding machines to weld thin steel, aluminium and stainless steel as-well-as TIG brasing.